Hello loves! 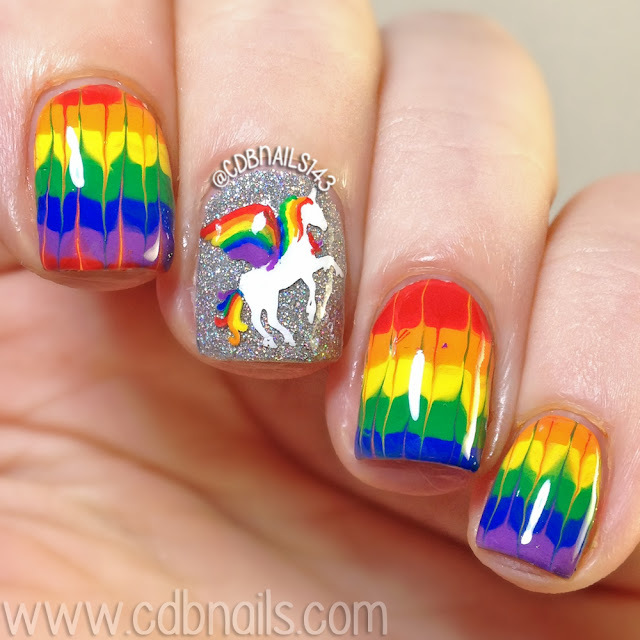 I have my final New & Improved mani for the Digit-al Dozen group to share with you tonight! Let me first start out by saying how much I have greatly enjoyed my first week in Digit-al Dozen. It pushed me to do more nail art which I love! Secondly, because having to do all of the new to me techniques helped me step outside my comfort zone and now I am looking forward to trying even more techniques I seen all the other ladies try. And lastly, because everyone in this group is so awesome! haha! Everyone takes the time to reach out to each other whether it be commenting on each others photos and blogs or to just help each other out when we are struggling for ideas. These types of groups help me personally not only with my confidence but also with my anxiety and depression. The support is amazing and I am excited to see where my future in Digit-al Dozen brings me! Now enough with the mushy crap haha let's get to the mani shell we? This time I decided to try the needle drag technique. 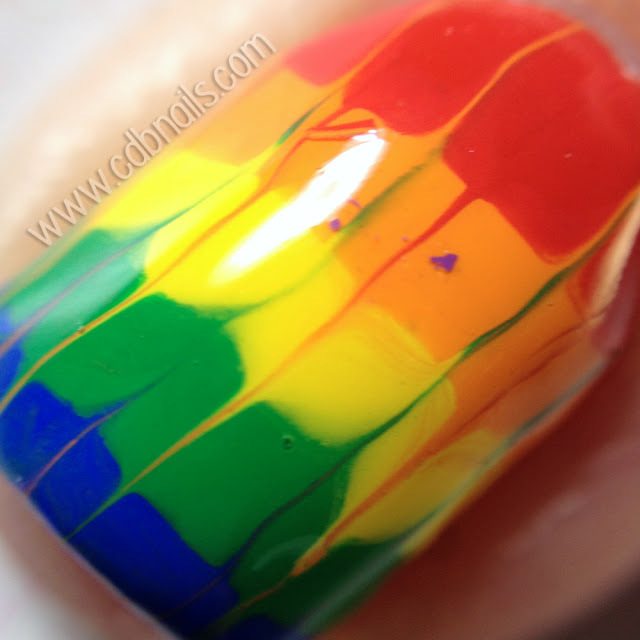 This Technique is kind of like water marbling but you do it directly onto the nail. I'll be honest though, As you can see from the photo above, I cheated a bit and made decals instead because I knew without a doubt that if I applied the polish in thick coats on my nails like you need to in order to achieve this look that it would have pooled EVERYWHERE and that ish makes my skin crawl! haha watching the polish collect around my cuticles would have freaked me out lmao! SO I hope this still counts because even though I did decals I have still never done this before now. Honestly, other then my unicorn I wasn't too happy with this technique. I think I used too much paint or something because the overall finished look just looked super thick and even felt thick on my nails, eek! ah well haha, Well that's it! If you followed my blog all week, I hope you enjoyed seeing all the manis I did using techniques I have never previously tried! 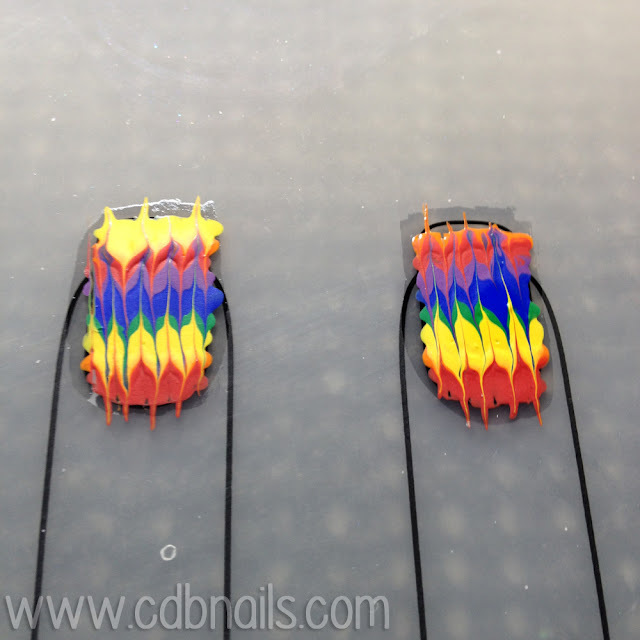 Have you ever done the needle drag technique? Let me know in the comments below! And be sure to check out all the other mani by the Digit-al Dozen Ladies! Gahhhh! I love love love these! They're so fun! I think using the mat was genius idea! I love how colorful and fun this turned out. 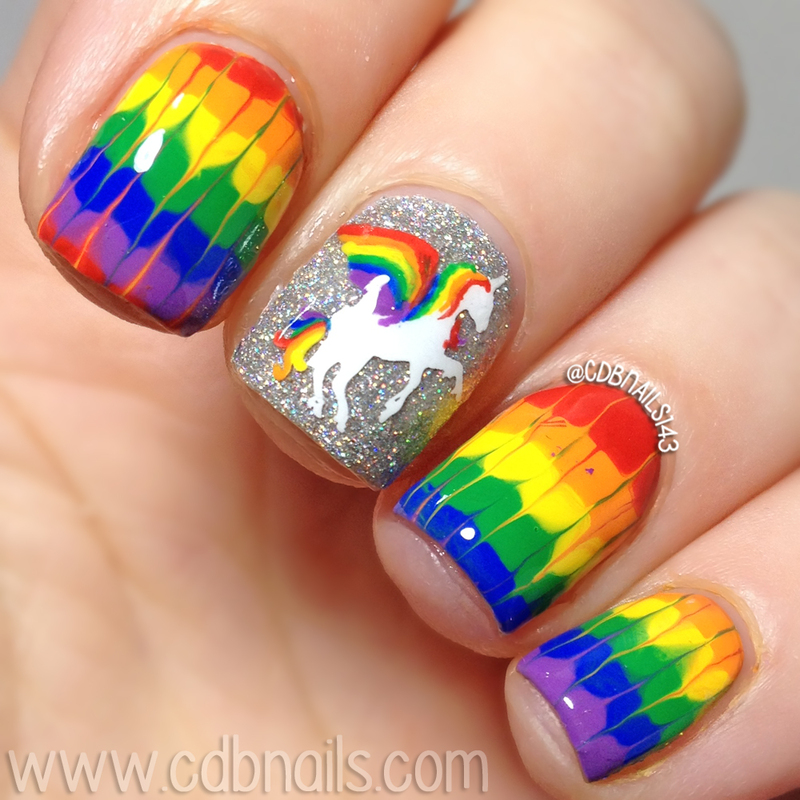 The unicorn is like the perfect touch for these! Do you have a tutorial for making decals?? ?